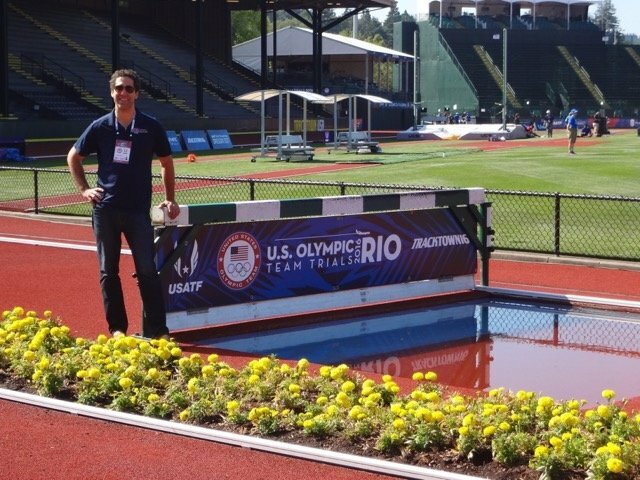 I had the honor of traveling to work the Olympic Trials for US Track and Field this week. My first patient was a previous gold medalist. The caliber of these athletes was incredible. The focus, determination, and gratitude — all tremendous. Track and Field is one of my favorite events because there is so much diversity. A sprinter, a marathoner, and a hammer thrower will all have completely different needs. They also often look completely different in terms of muscle development. 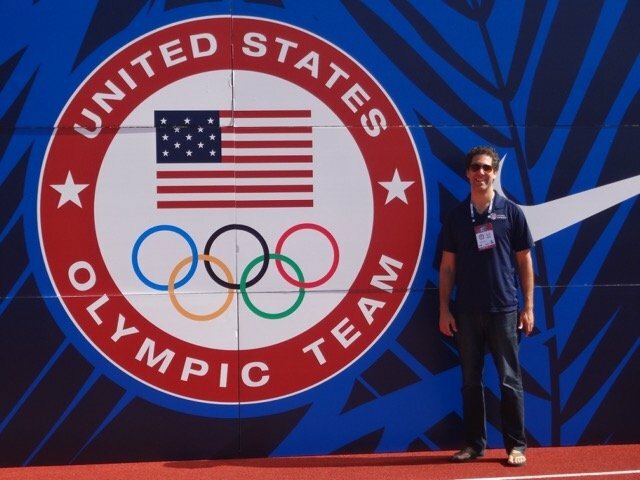 I also worked the US Track and Field National Championships in 2014; I just can’t get enough. While the athletes are inspirational, it’s also a humbling experience to work with the other volunteers on the health team. I worked hand-in-hand with the best athletic trainers, physical therapists, massage therapists, cardiologists, radiologists, and chiropractors. To just be selected was an honor. I’m also proud that ProActive Chiropractic’s wonderful Dr. Andrea Schilling was selected as well to be part of the health team. Although the dates didn’t work out for her to participate, her selection is a testament to her clinical excellence. Exceptional people applied from all over the country to work the event so it’s remarkable that two doctors from the same office in San Francisco would even be chosen. I love working with athletes, though my joy definitely intensified given their Olympic ambitions and the general excitement in the air. The range of dreams was also incredible. I got to help a 400 meter underdog qualify to go to her first Olympics and was awed to help a front-runner (sorry, can’t resist the pun!) preparing to defend his medal in Rio. Another key difference was that roughly 80% of the patients I adjusted simply came in for a tune up. They wanted ensure their ability to compete at the highest level possible. Almost no one had a major health issue. At ProActive Chiropractic, it’s the complete opposite. Only about 20% of our patients fit that criteria. It’s definitely fun to use the tools and techniques of fine tuning on such incredible athletes. 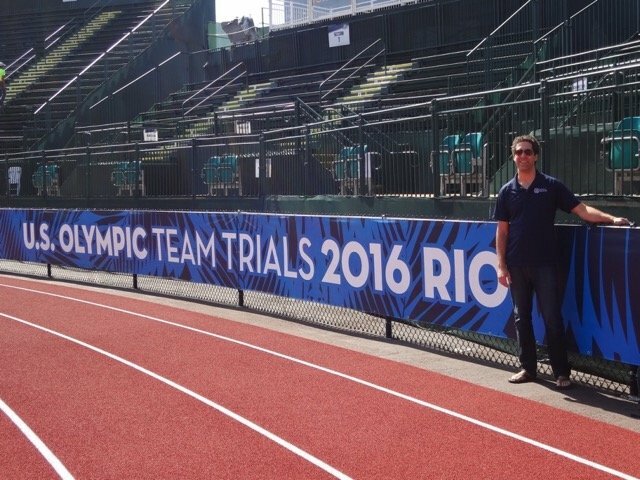 The Trials were hosted at University of Oregon, my alma mater. I haven’t spent much time in Eugene since 2000. It was bizarre to be back in the dorms sleeping on those rubber beds, but this time instead of being filled with loud classmates it was filled with sports medical professionals from around the US. My dorm mate was from Ohio, yep… I had a roommate. And the food, well, let’s not even go there. Are you a runner looking for someone who understands what athletes need to run farther and faster? Come and see us here at the premiere clinic for runners in San Francisco. Call us 415-762-8141 or go online to schedule a complementary consultation. Note on images: I would have loved to share photos of the incredible athletes that I met, but I’ve followed policies about photos and privacy.